FAITH BROADCASTING NETWORK hosts many of these events from their studios in East London (South Africa), while others are outside broadcast live events from various centres in South Africa. 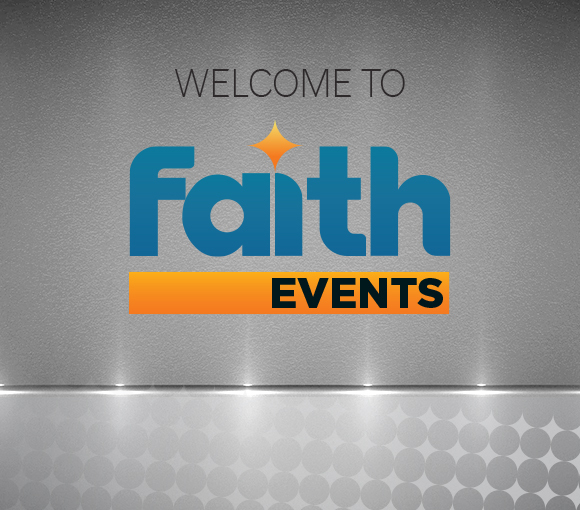 The aim of FaithEvents is to further to gospel of Jesus Christ, and to equip its viewers on all the channels spiritually – this way FAITH BROADCASTING NETWORK invests into the Kingdom of God. Historically events such as the Get Ready Conference, Once Voice Worship, Days of Glory and Stand Strong have been successful in reaching its mandate, and this will be augmented in future through broadcasts of the Mighty Men Conference (Angus Buchan), Revival Meeting (Rodney Howard-Browne), Friday Night Live Music (worship and gospel events) and others.